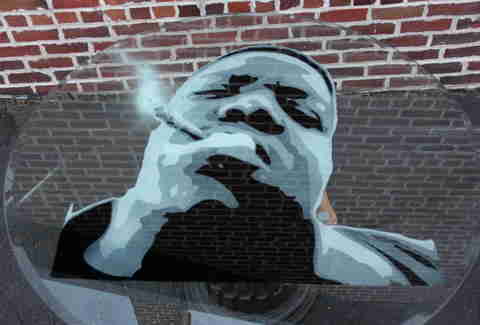 Prepare to have your mind blown by some glass you didn't just smoke out of, at Keep it Glassy. 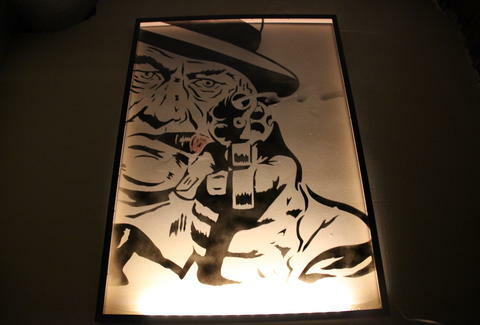 From tattoo artist Mike McGinley, this pop art exhibit (held at Five Points bar Meadowlark) features your favorite film and music characters stenciled, etched, and sprayed onto massive pieces of glass. And since it's a bar, there'll also be discounted cocktails in your glass. 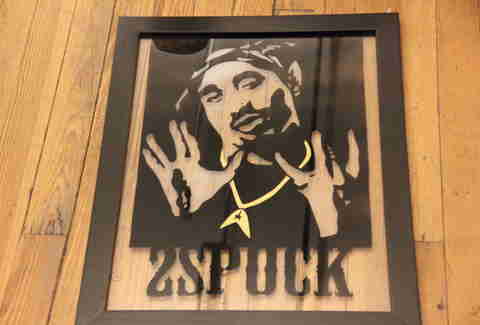 Just look at McGinley's ingenious 2Pac/ Spock mashup, which imagines what it would be like if Pac and Nimoy had a beautiful love child. His catchphrase? "Live long...er than I did". 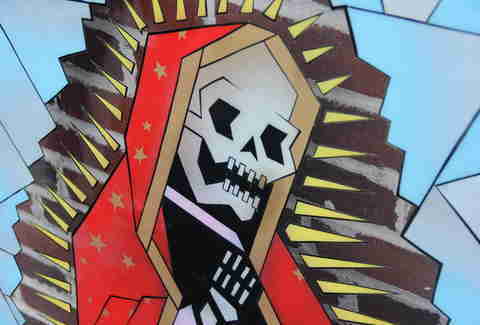 This work successfully mimics the stained glass windows commonly found in religious settings and grandma's house, though here, the Virgin Mary is depicted as a Day of the Dead-type skeleton. McGinley found this piece of glass in this street, and turned it into quite possibly the coolest coffee table ever made. Any argument to the contrary is Dead Wrong.